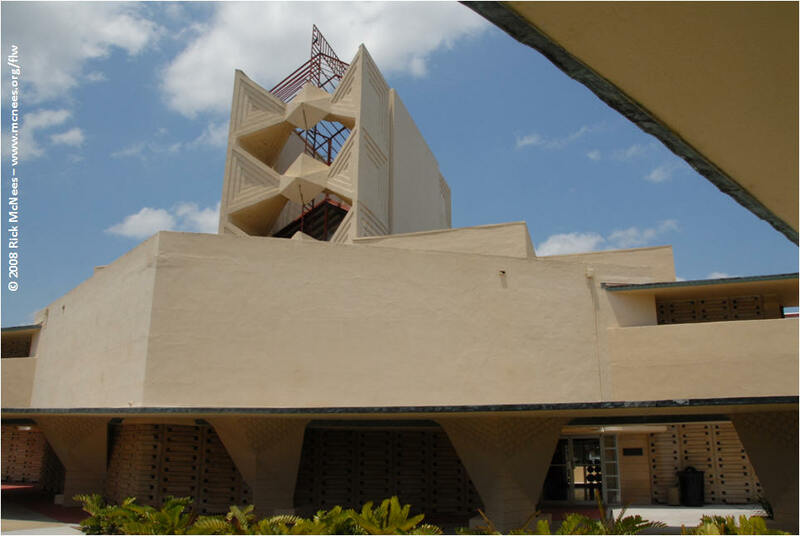 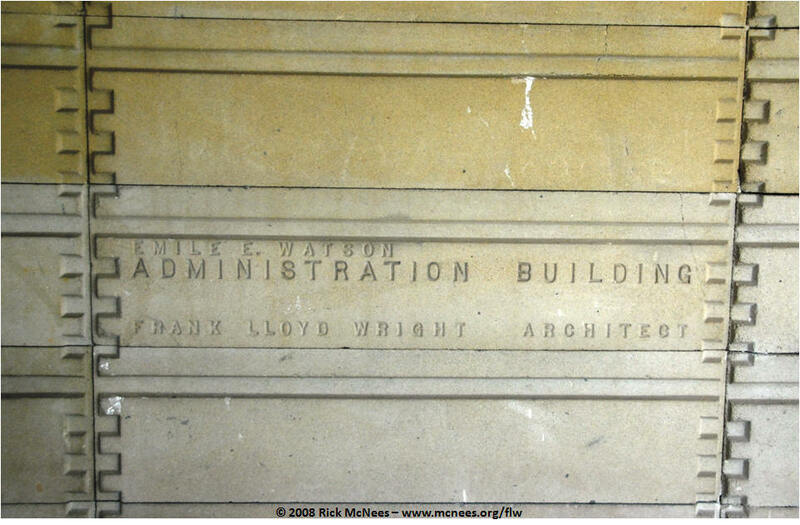 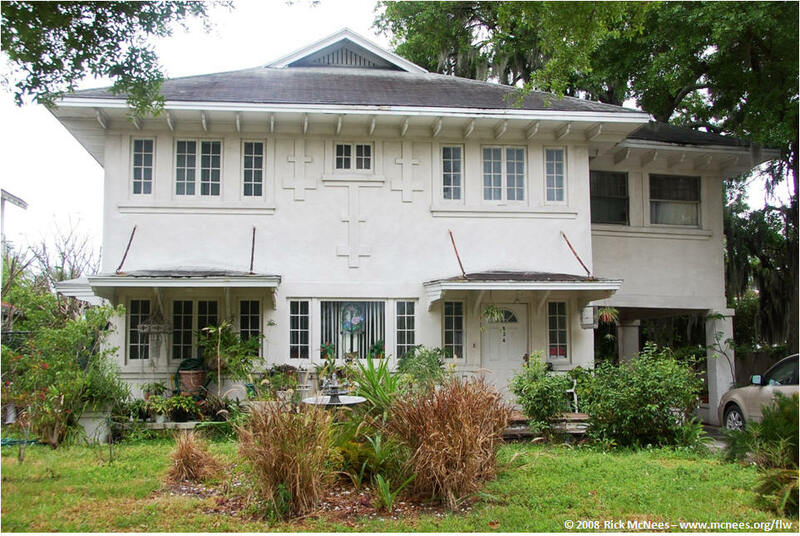 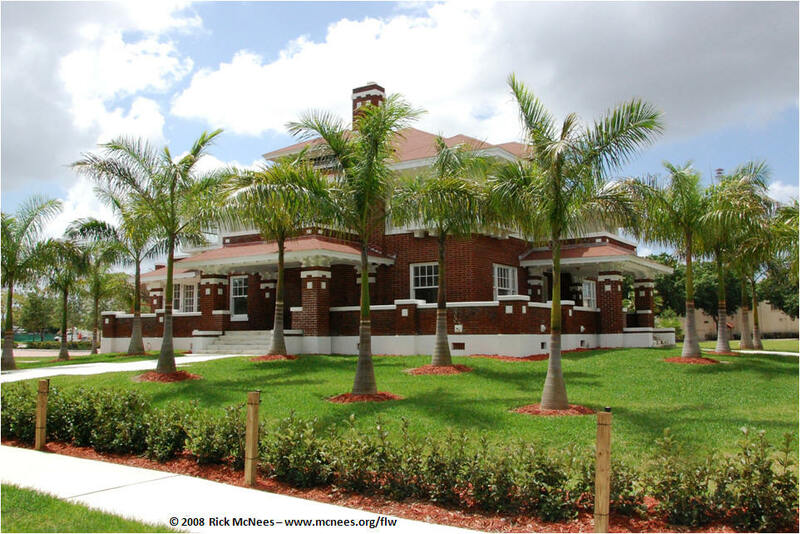 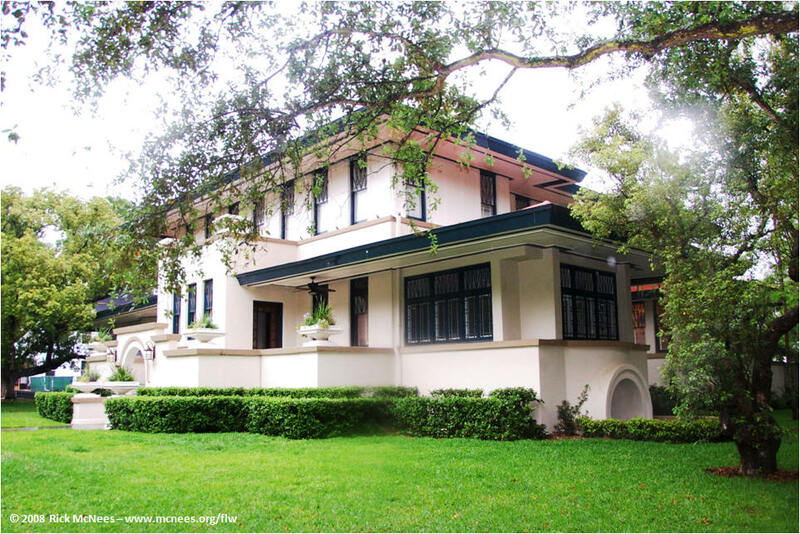 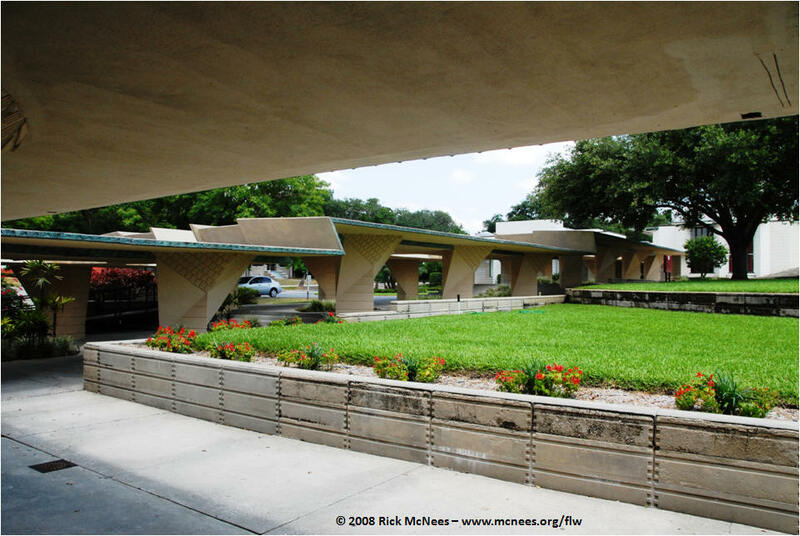 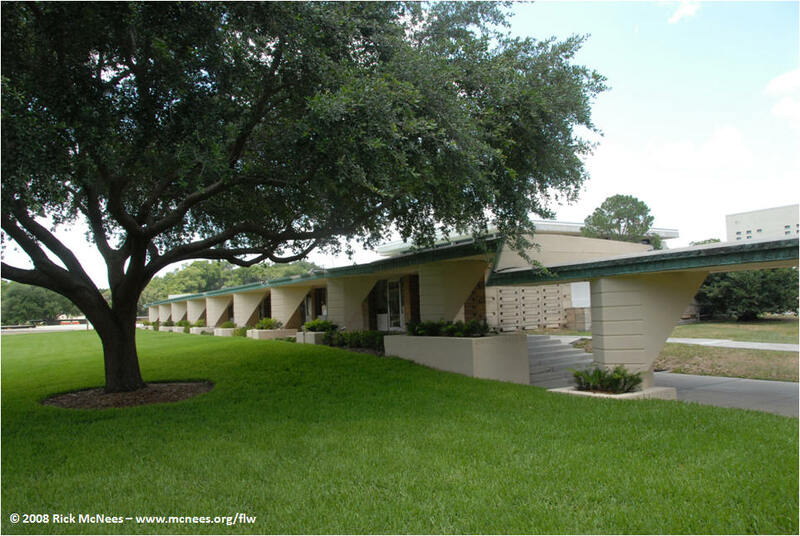 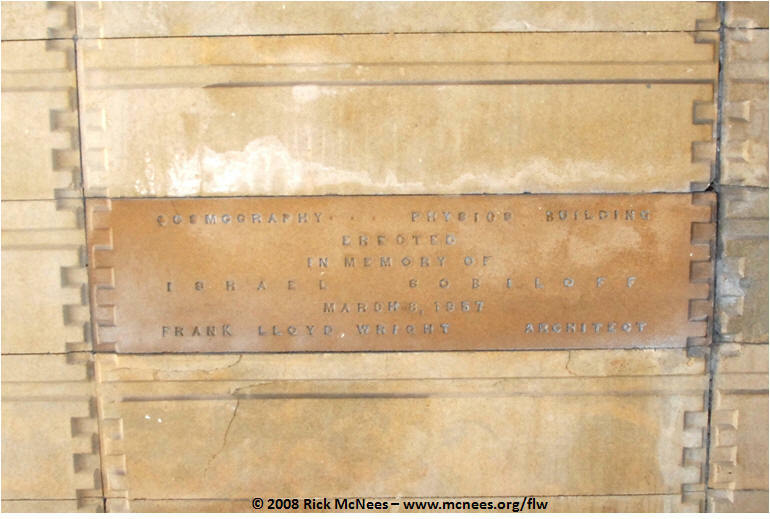 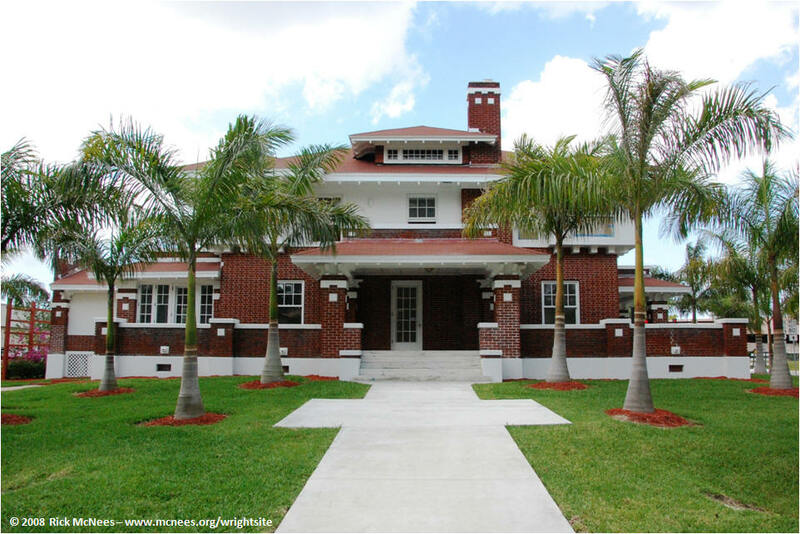 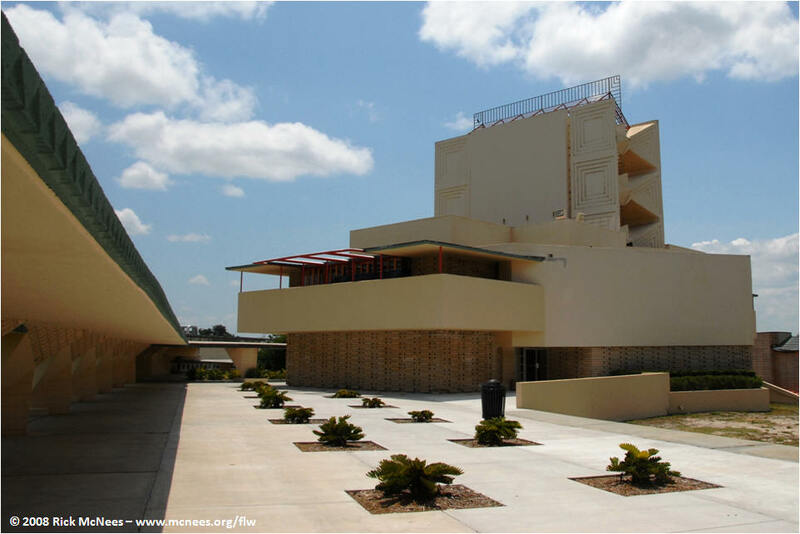 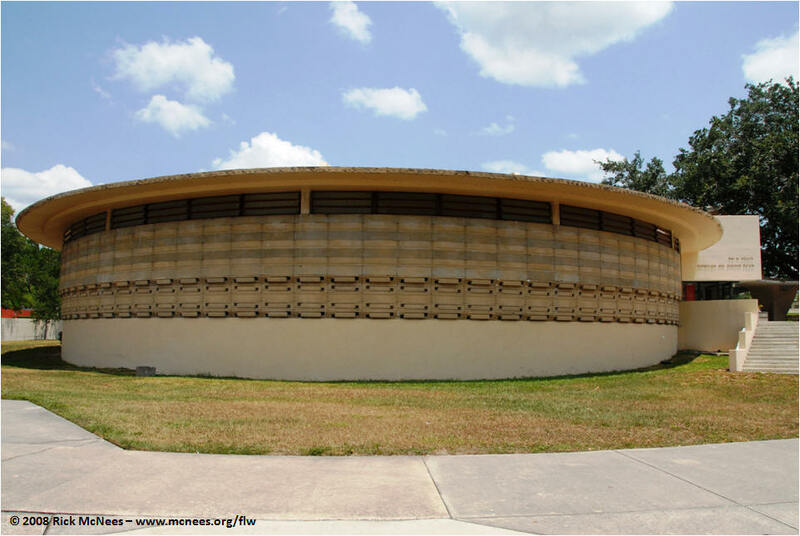 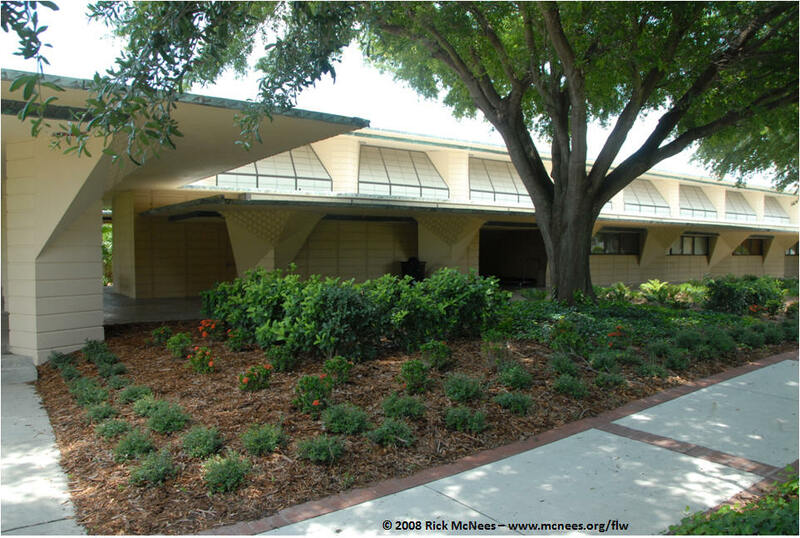 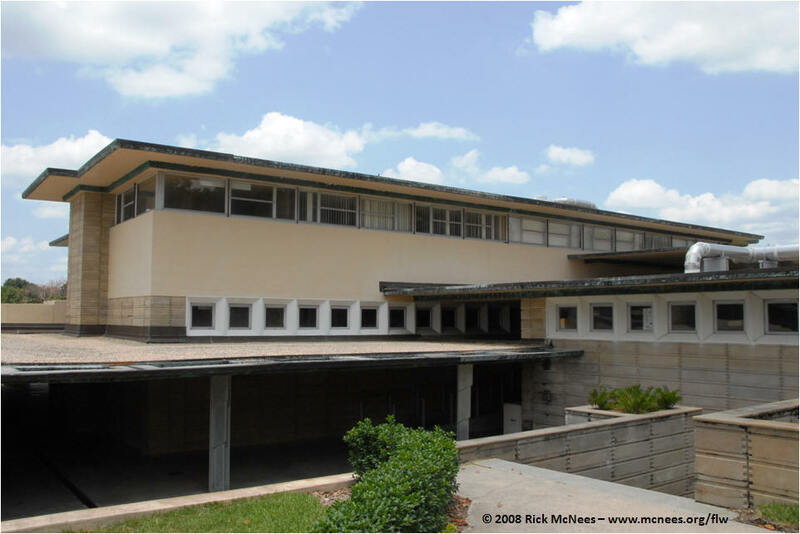 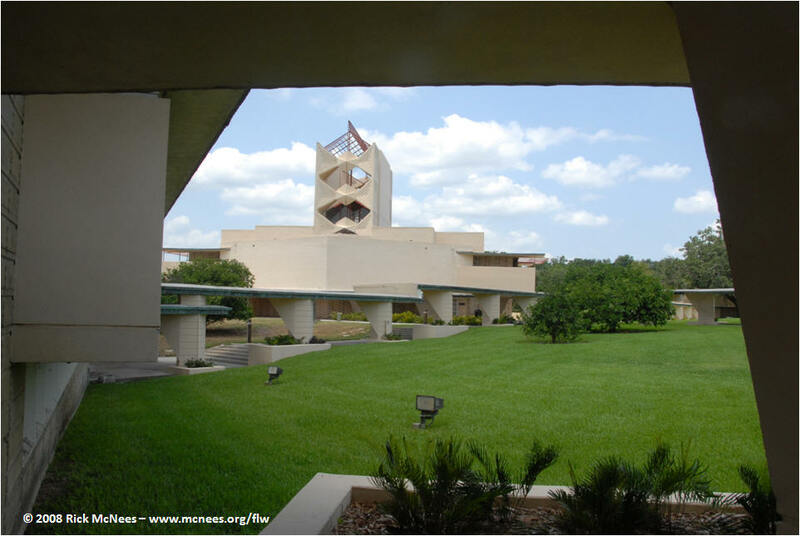 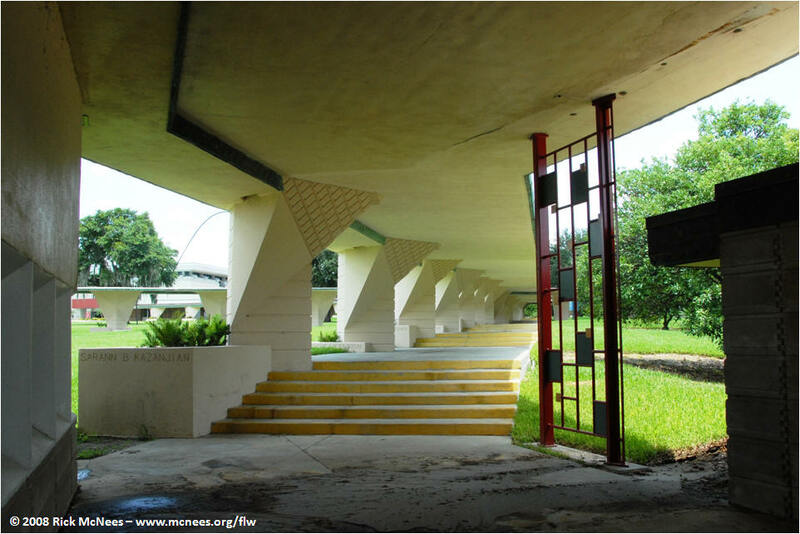 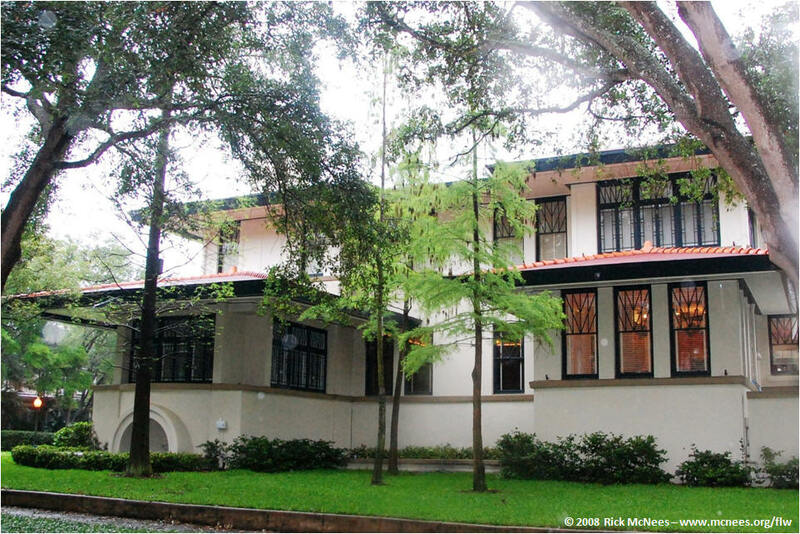 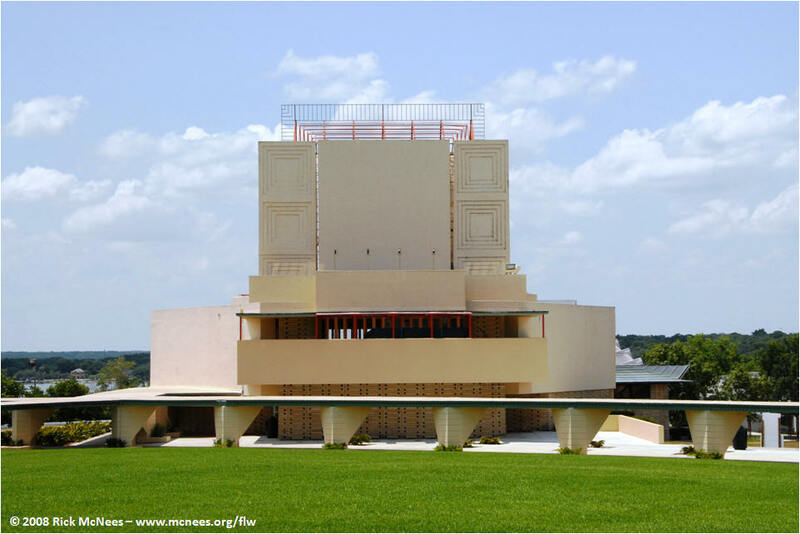 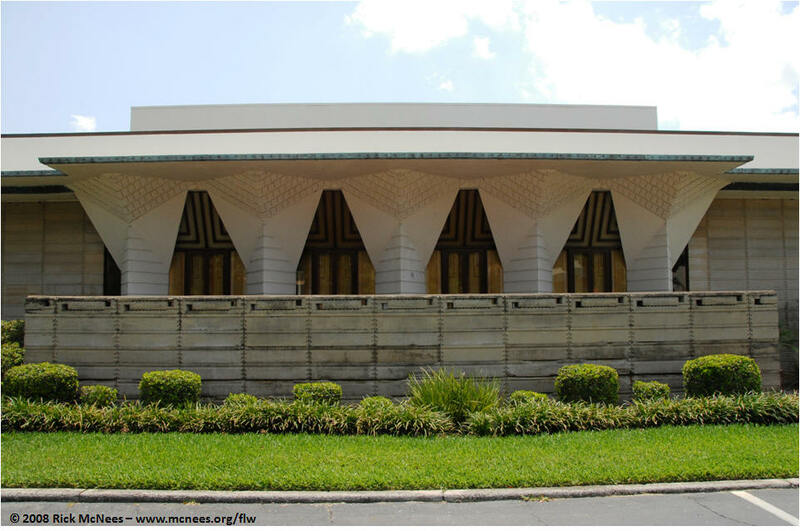 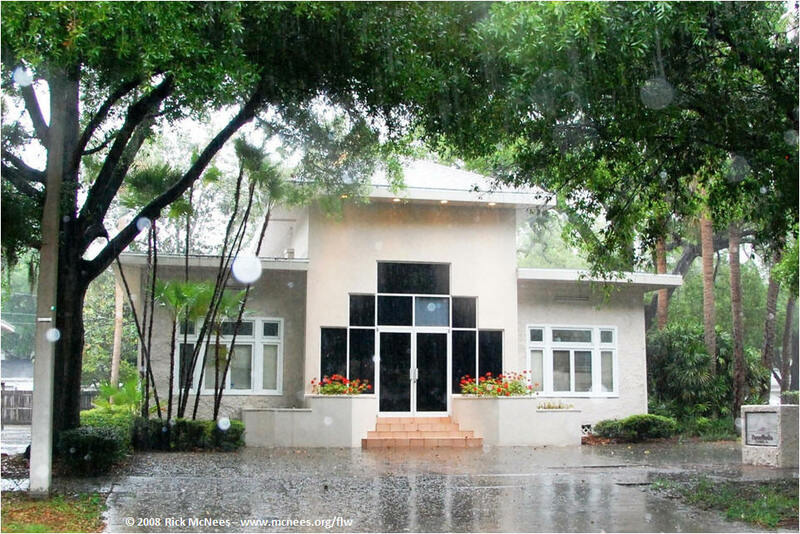 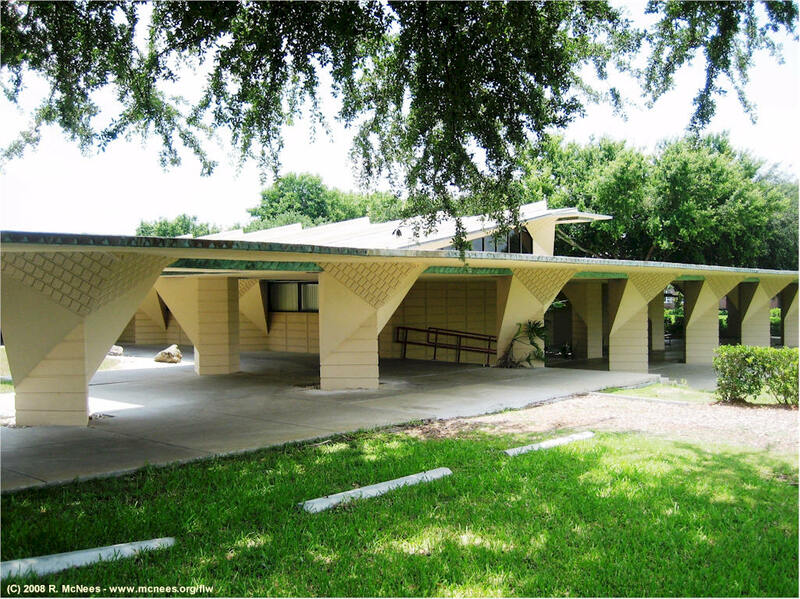 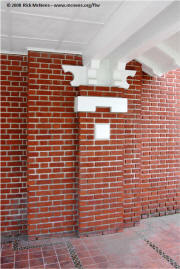 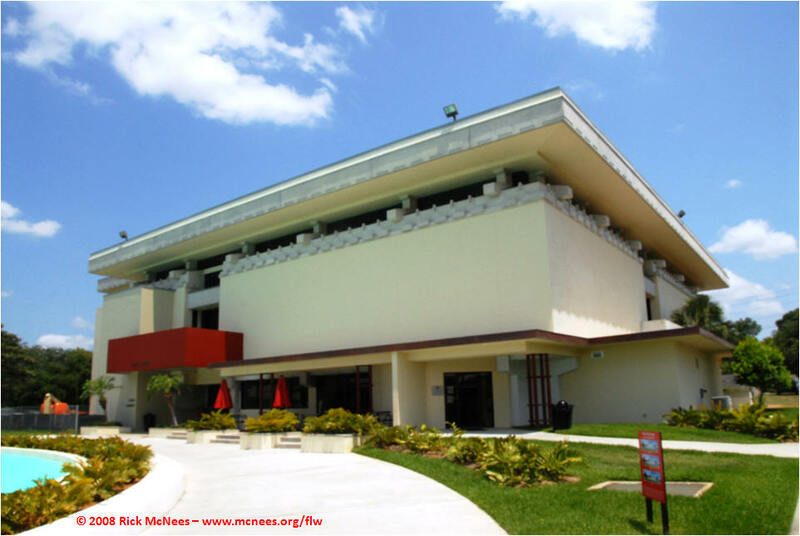 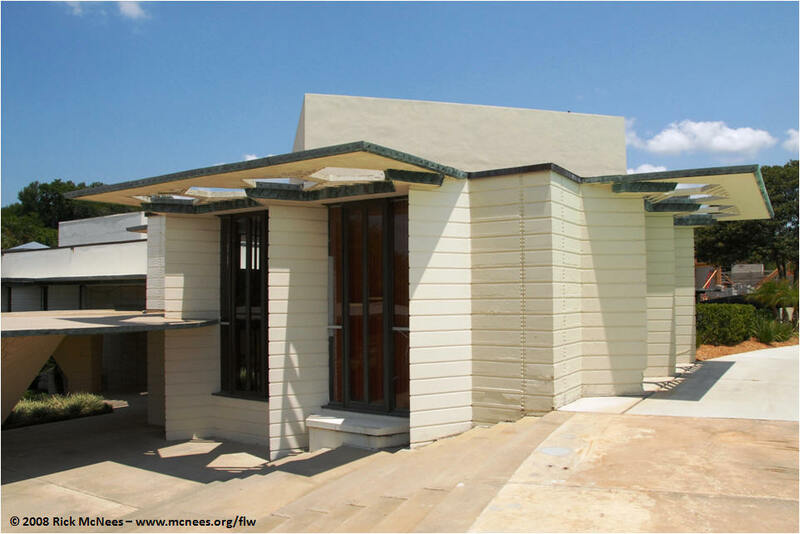 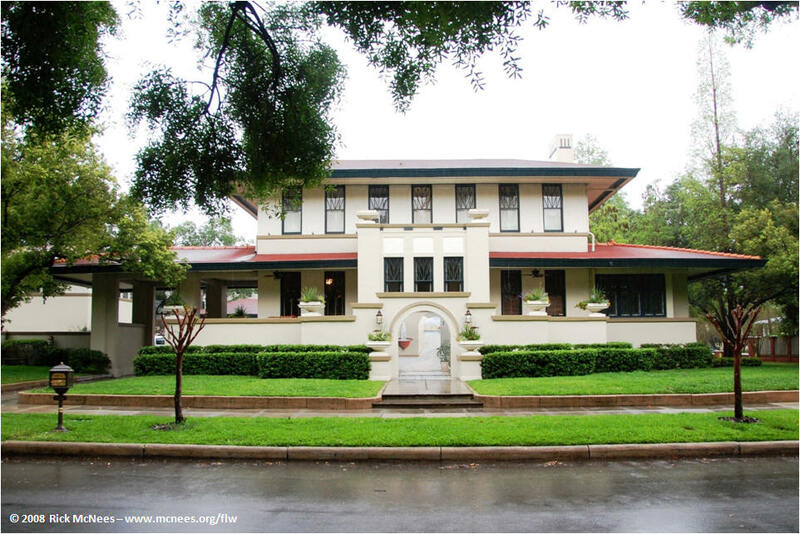 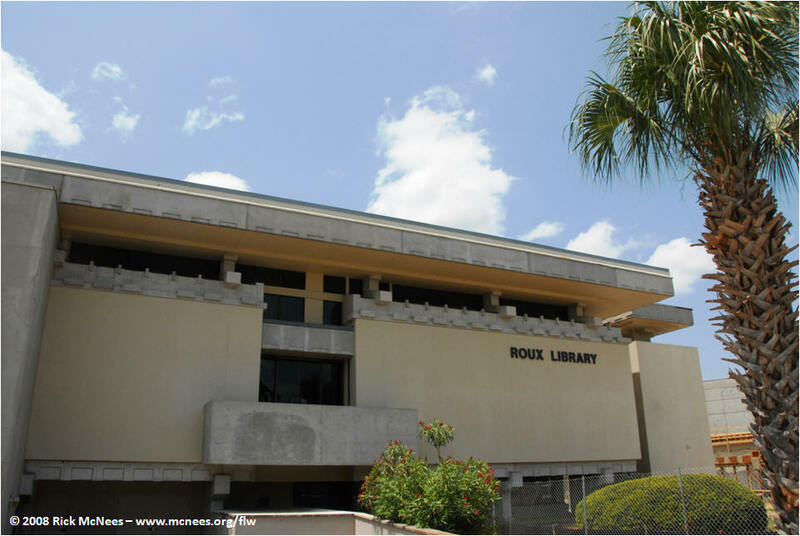 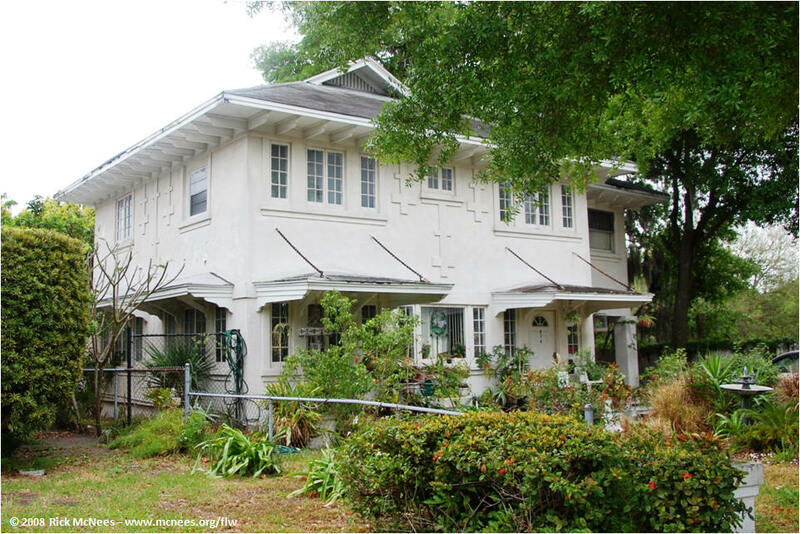 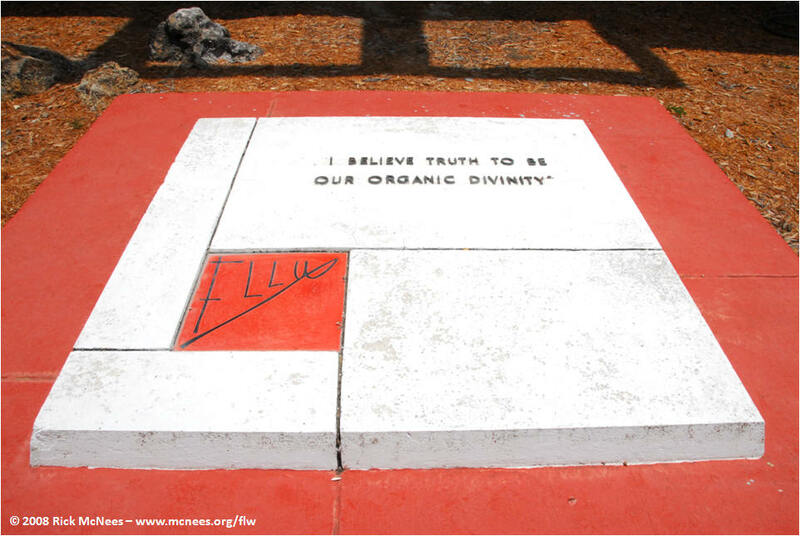 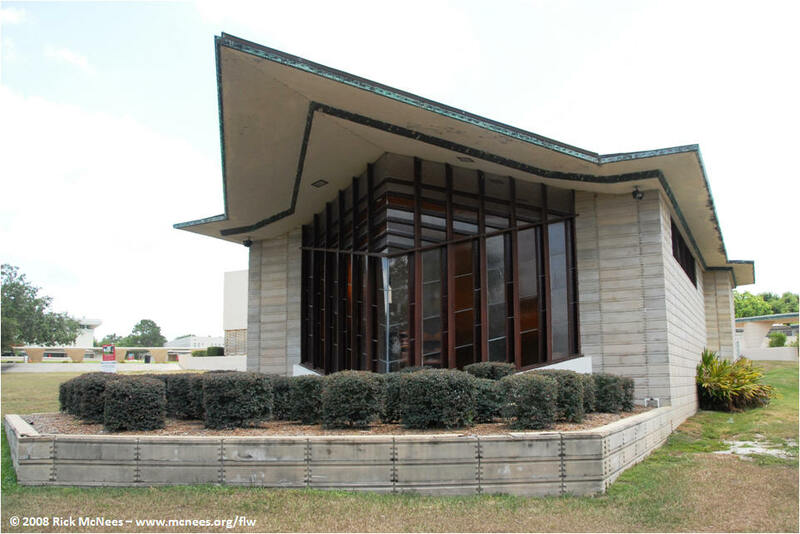 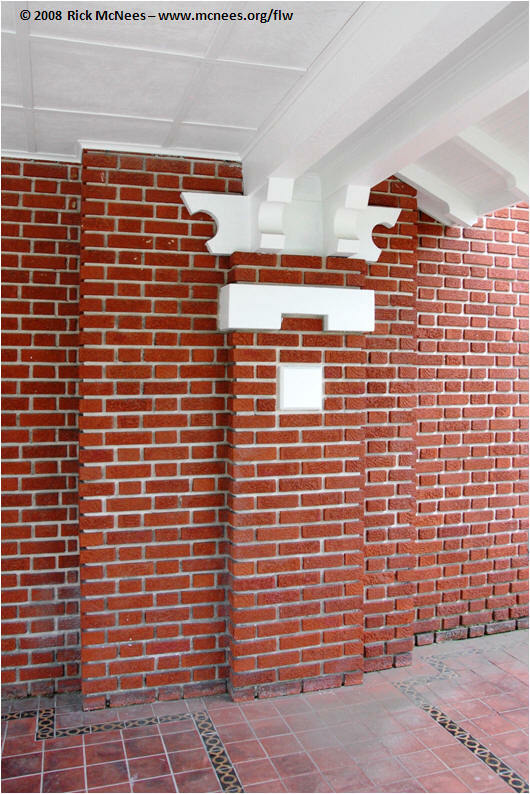 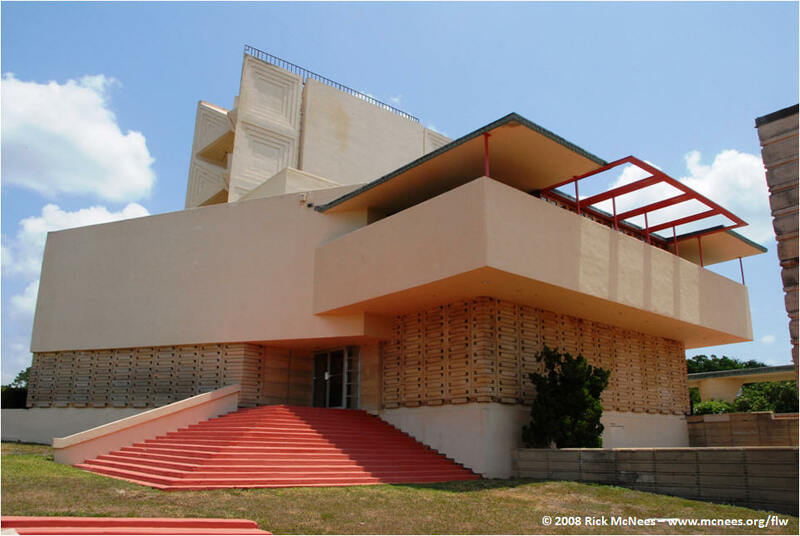 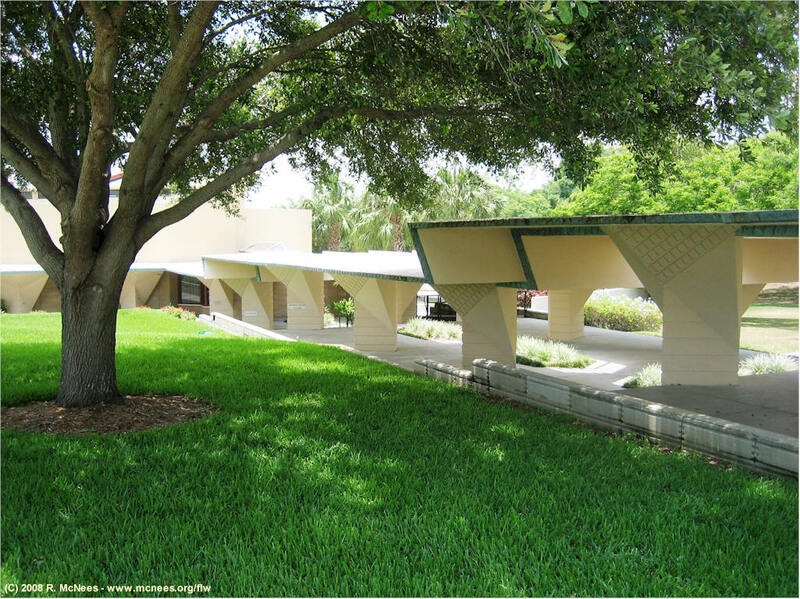 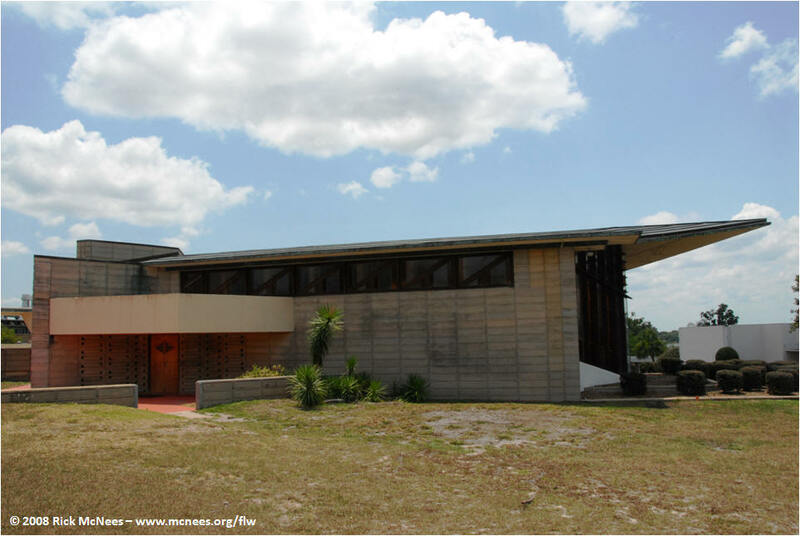 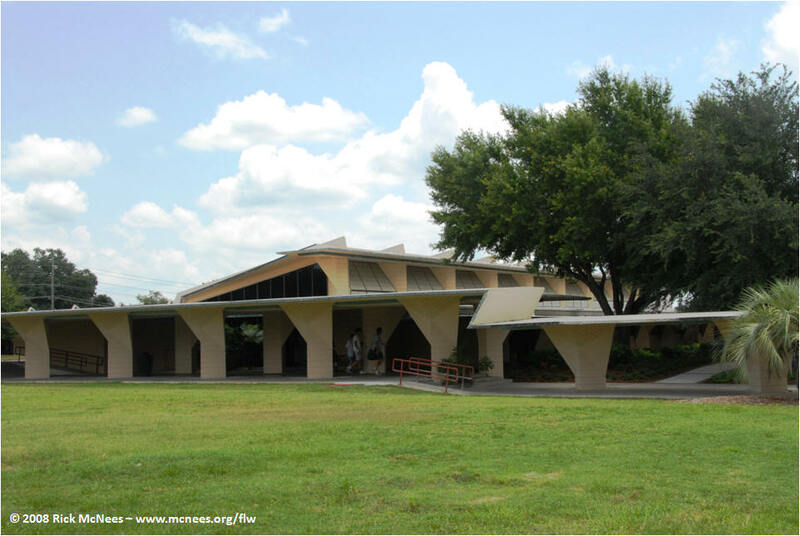 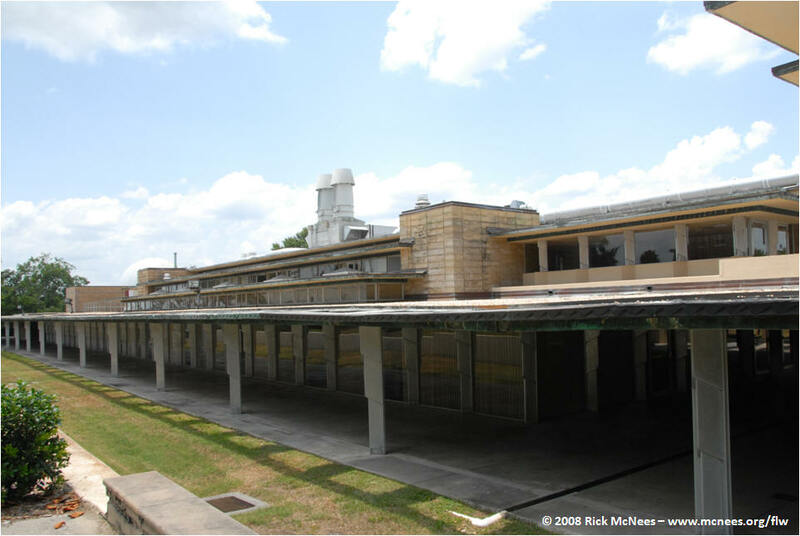 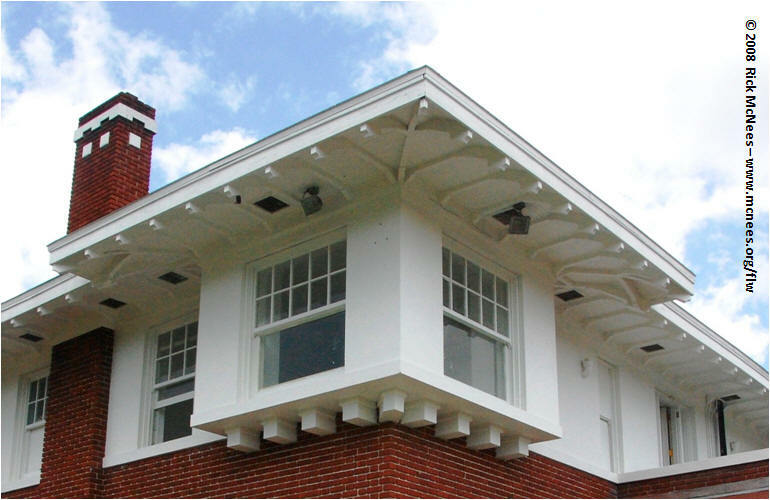 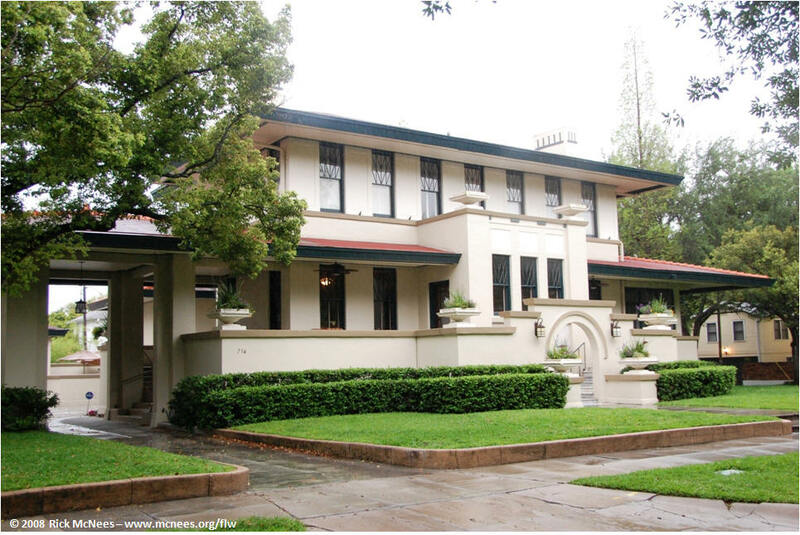 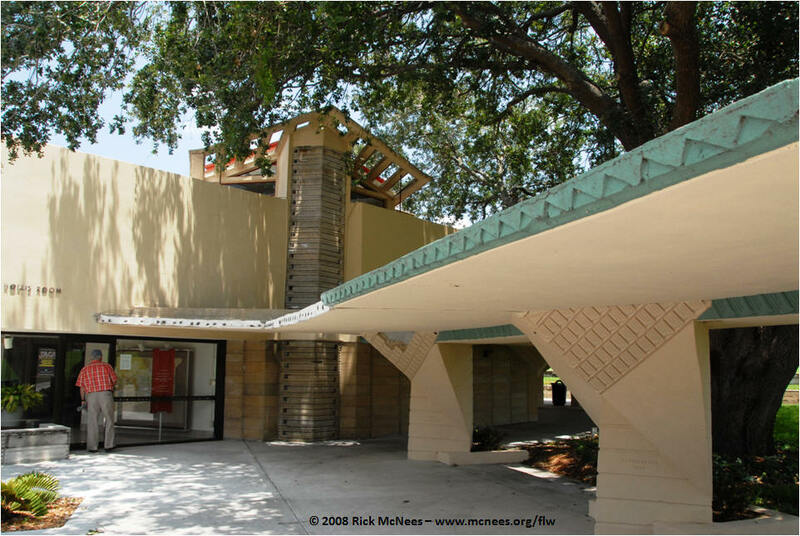 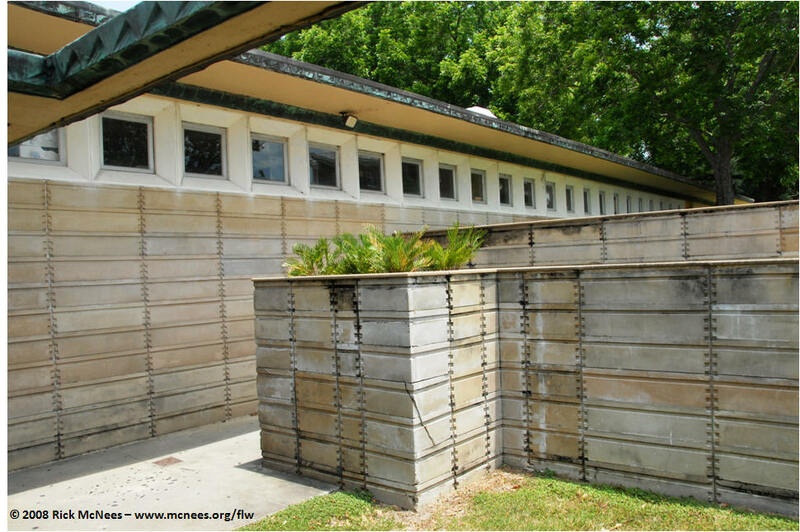 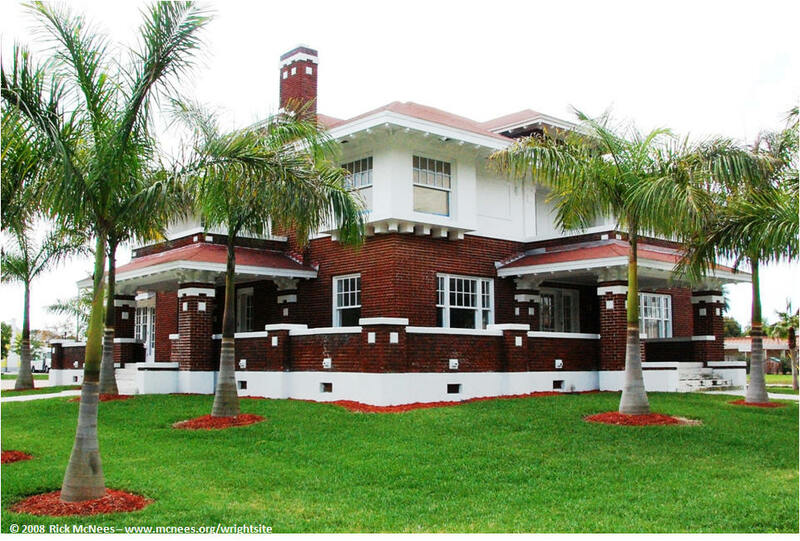 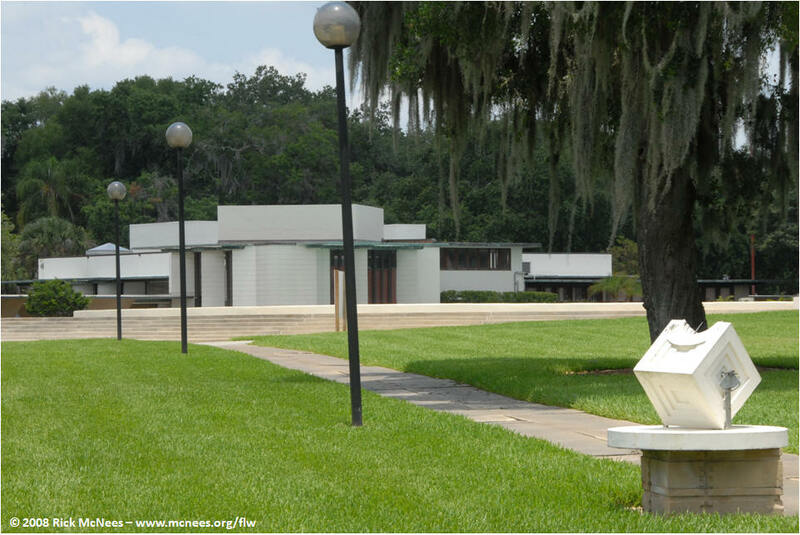 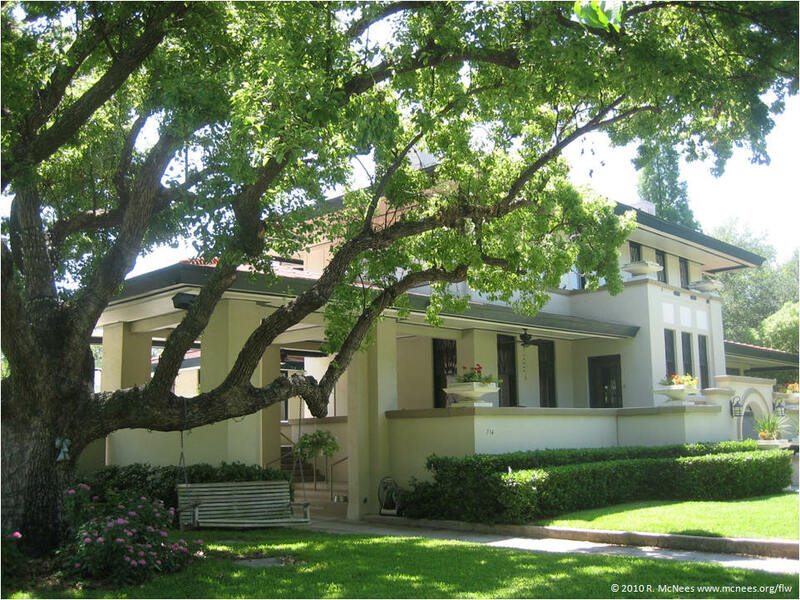 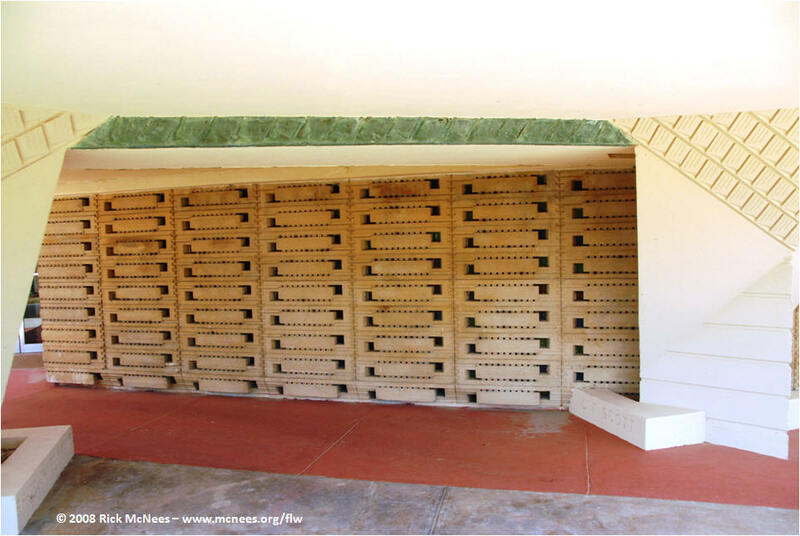 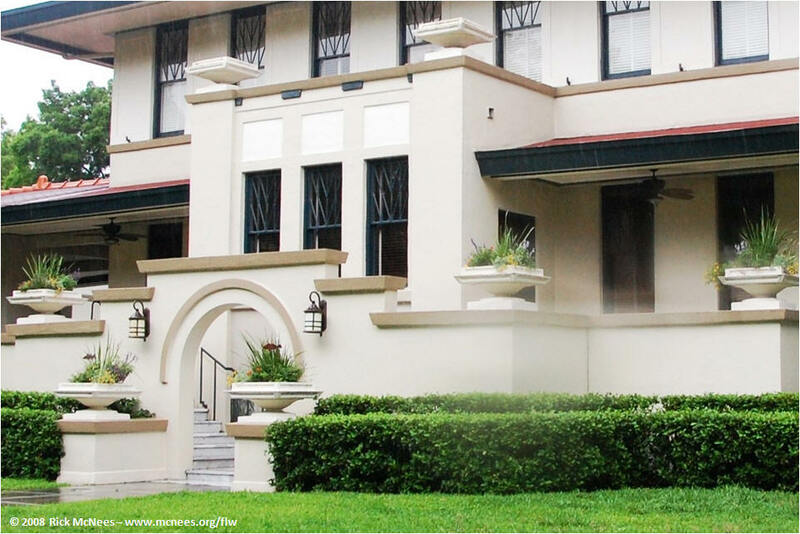 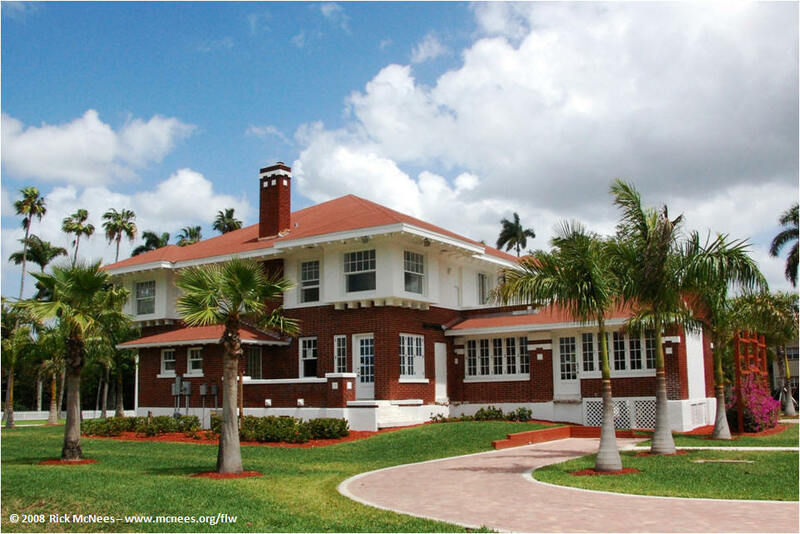 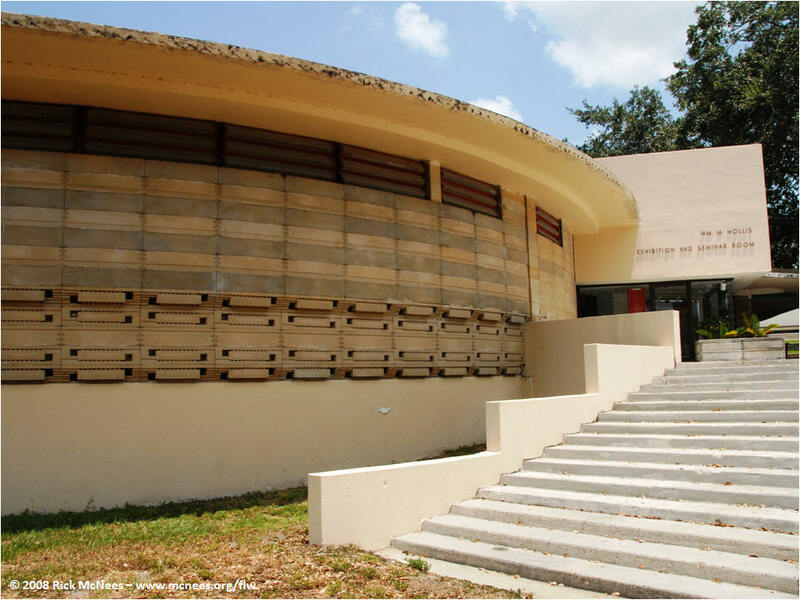 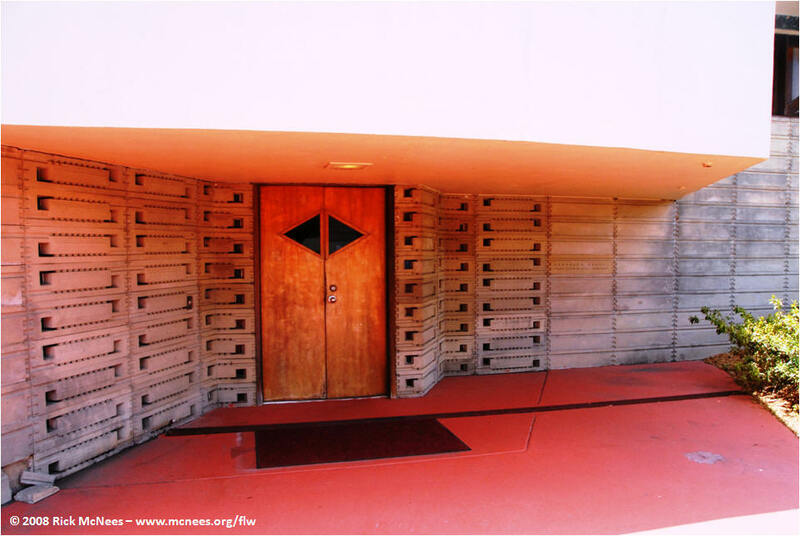 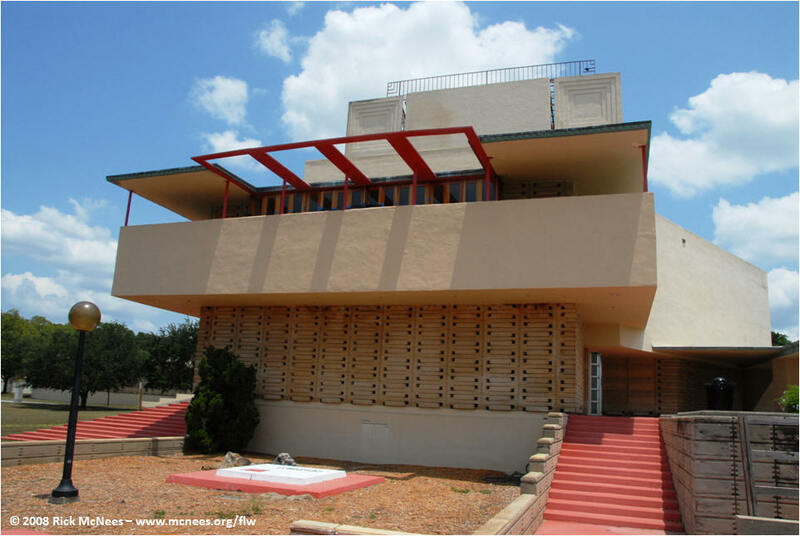 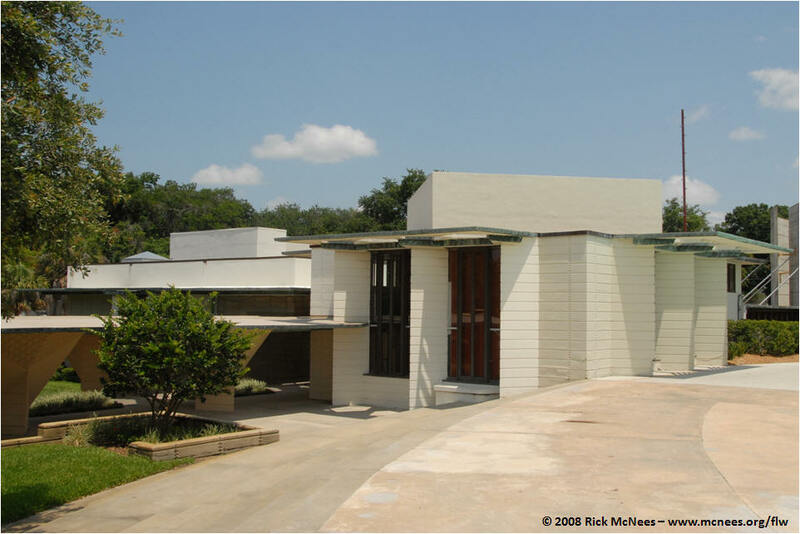 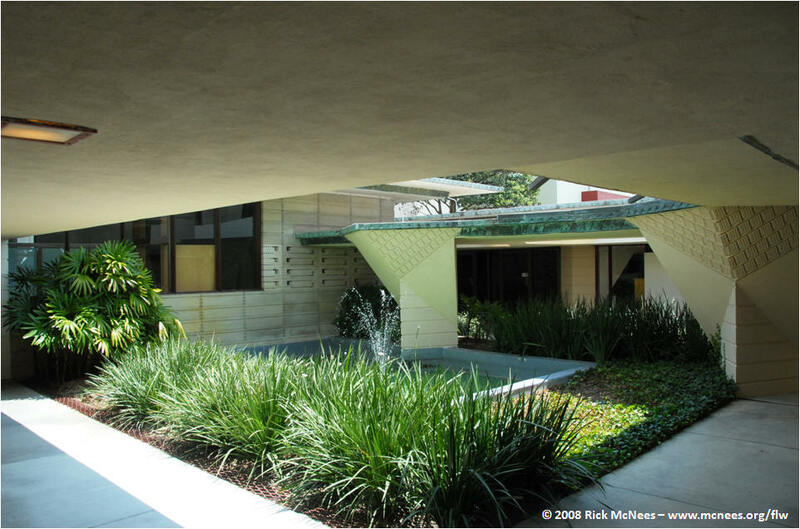 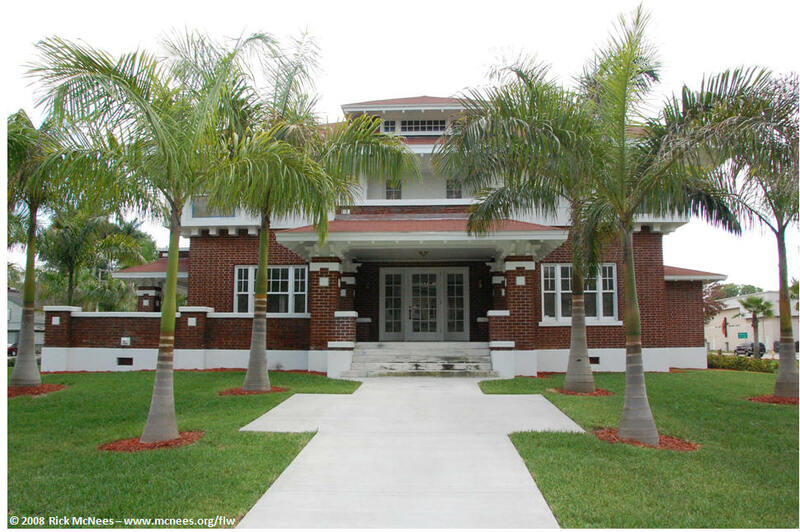 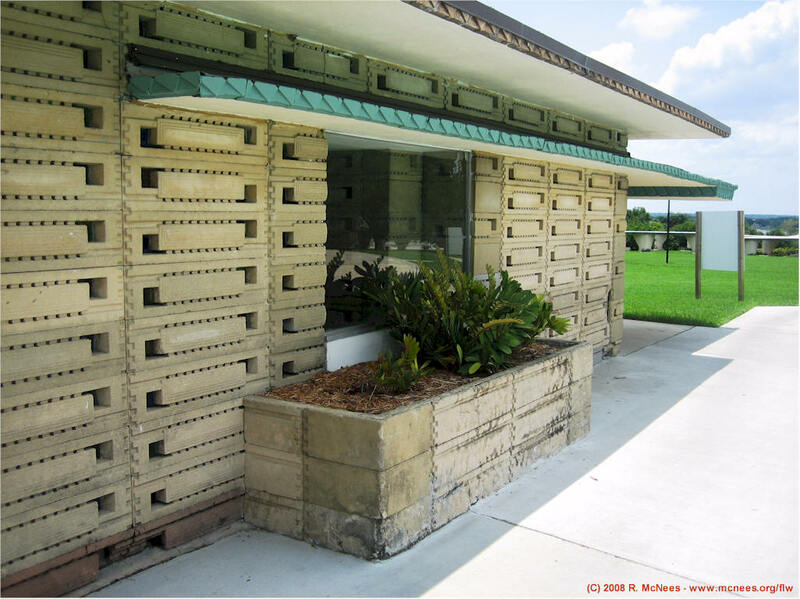 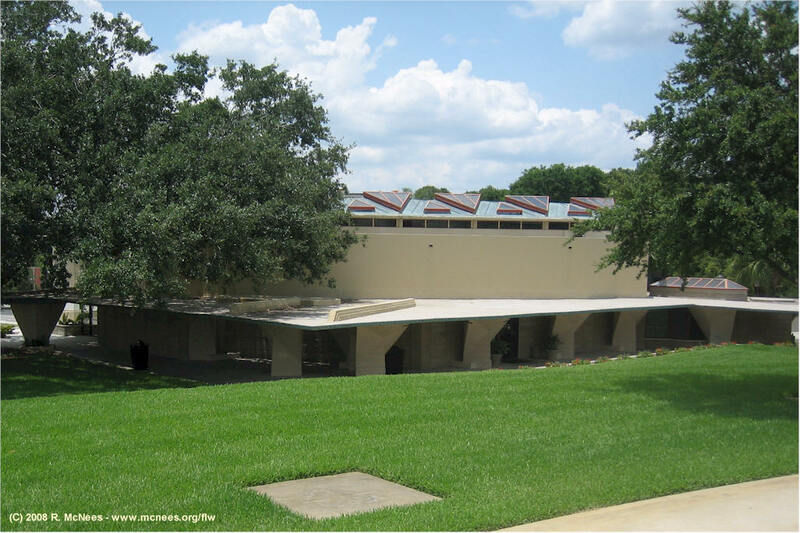 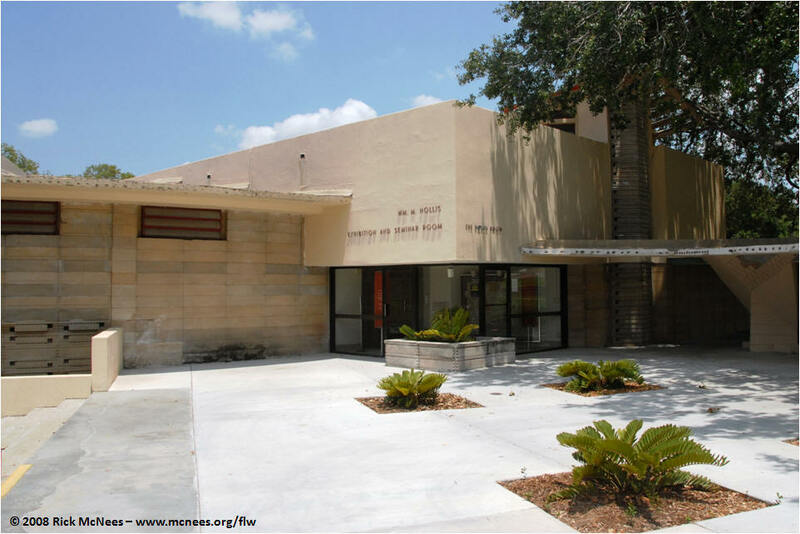 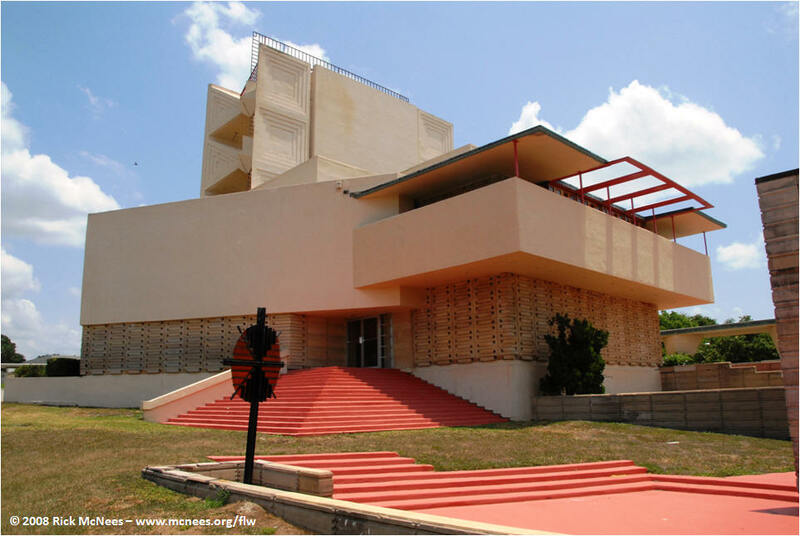 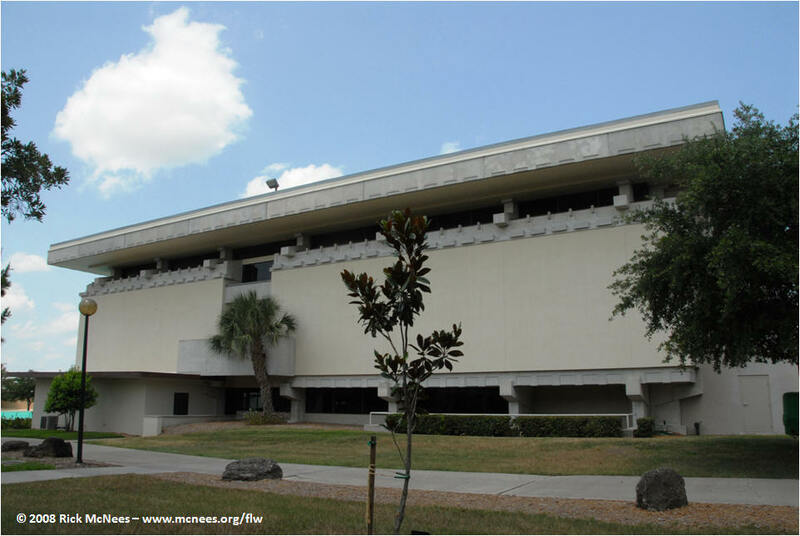 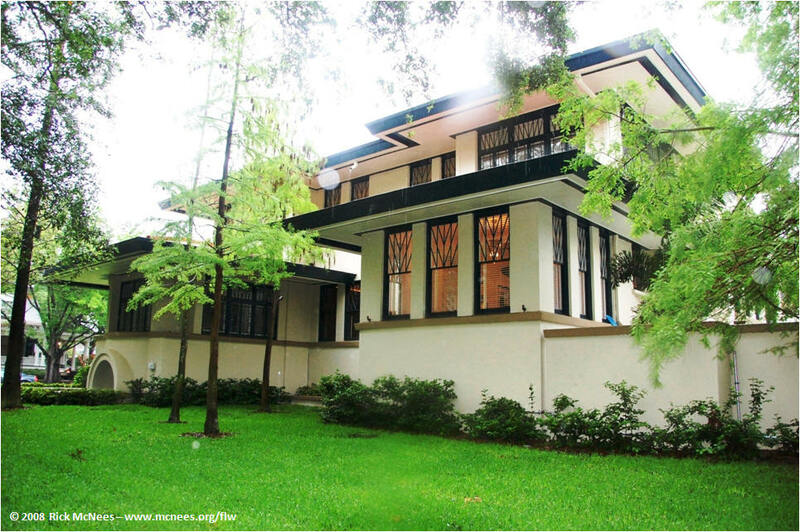 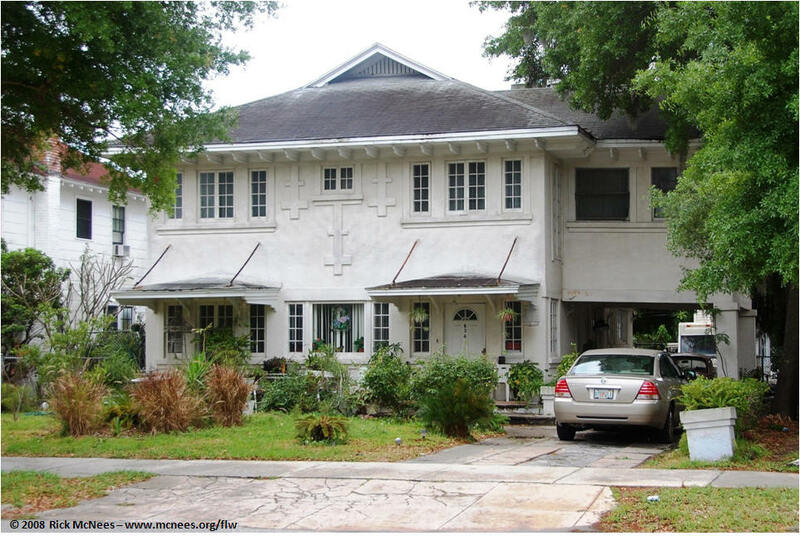 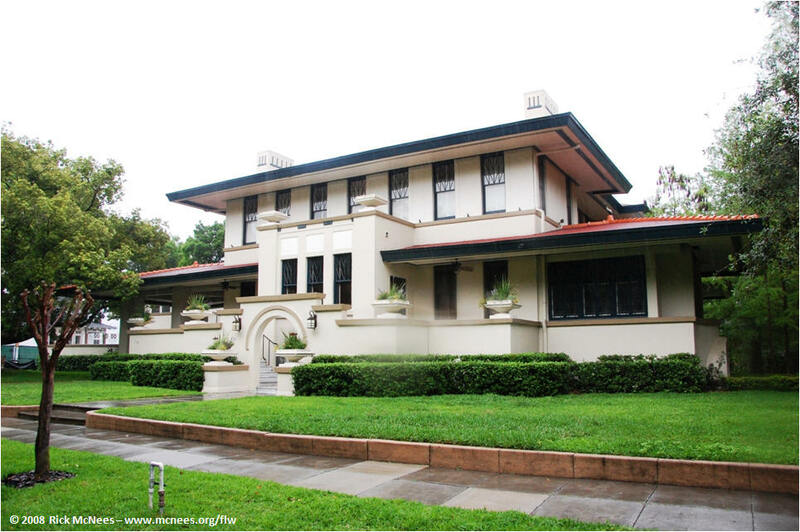 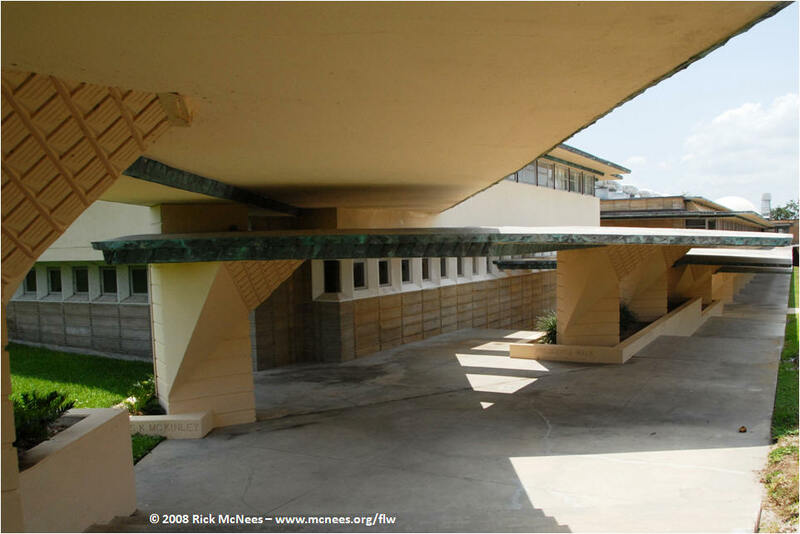 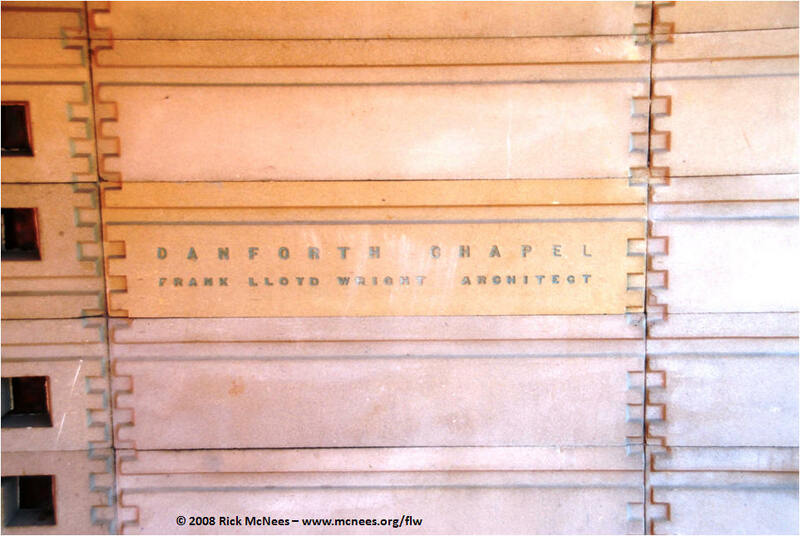 The Florida Southern College Architectural District on the Florida Southern College campus in Lakeland, Florida contains seven Frank Lloyd Wright designed buildings, the largest collection on any one site. 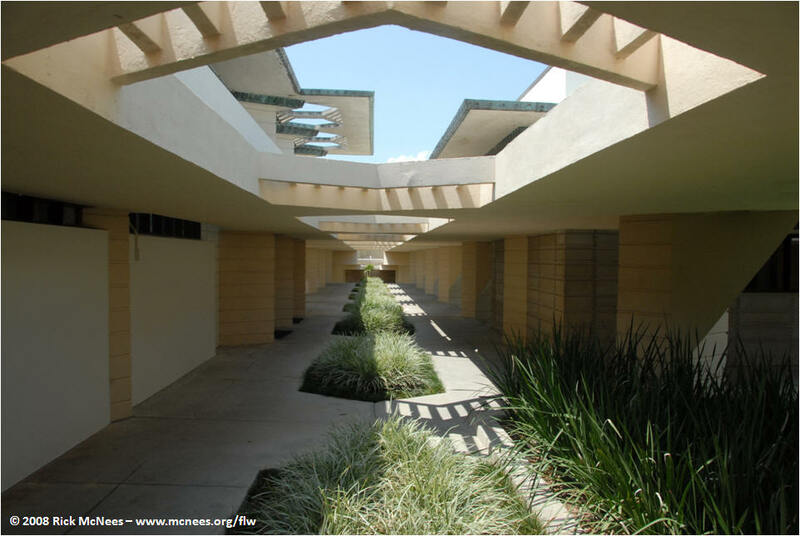 The buildings project spanned 1938 to 1959. 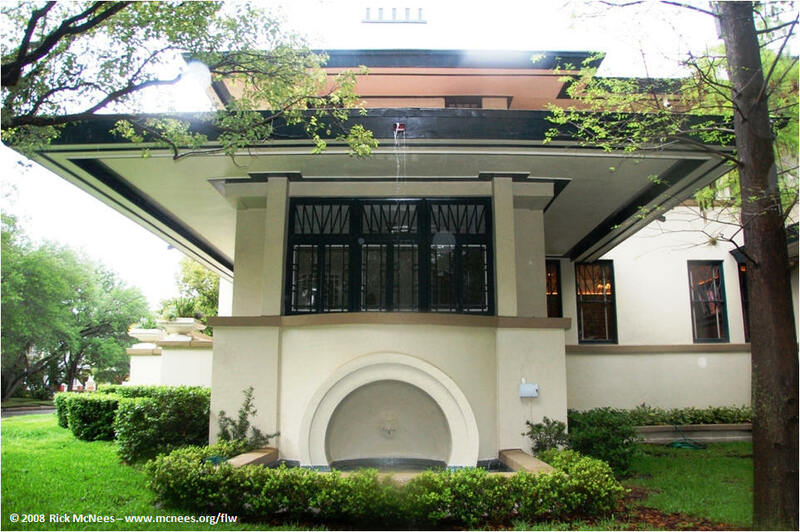 The Wright designs include the Water Dome fountain and pool and elaborate covered walkways connecting the buildings and terraced grounds. 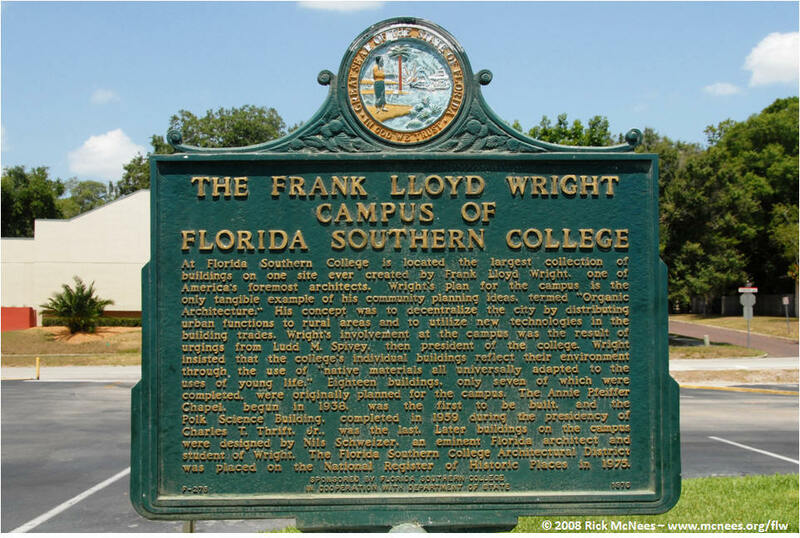 The campus offers a delightful walking tour featured on-line - see the campus website walking tour. 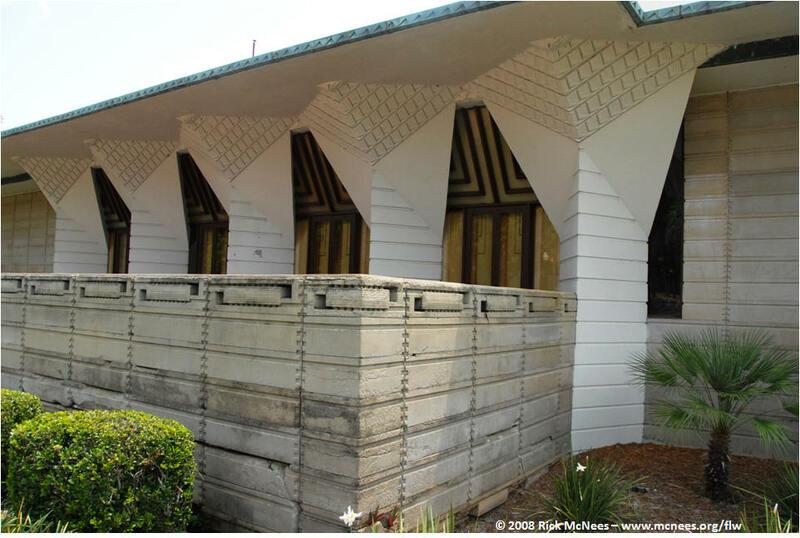 This page lasted updated 07/01/14 .